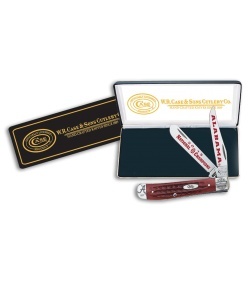 The Case Cutlery Champions is a commemorative traditional style knife that celebrates the University of Alabama's 2015 National Championship win against Clemson University. This knife is the next knife that Alabama lovers and knife collectors need! Clip point and spey stainless steel blades with satin finish and graphic etching. Nickel silver bolsters, spacers, and inlay shield. Officially licensed product of NCAA and comes in gift box.